Looking back at the top 49 of my very favorite photos from our family outing Saturday - taken at Keukenhof Gardens in Lisse, The Netherlands - I'm reminded of the comment I made to Tobi as we were walking amongst the mosaic of tulips. "I think we must just be the luckiest people in the world." I said, meaning not just us, but all of the people with whom we shared the glorious gardens on that sunny day. And I really meant it. Tobi responded not with words, but a skeptical glance, which really said "Are you freakin' kidding me? With these rediculous crowds and €5 sausages?" Later, as we returned to the car, he said, "It's not that I don't like flowers, but this just isn't my thing." While Tobi may have a had a point - Keukenhof can get overcrowded and is definitely overpriced - I loved nearly every minute of it. 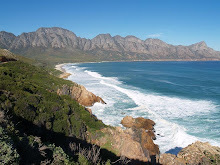 Surrounded by so much beauty, I found it easy to overlook the crowds and crazy-expensive cuisine. The gardens are huge, afterall, and even at full capacity you can find a quiet little corner to retreat to, making it feel like your private, secret gardens... if only for a while. 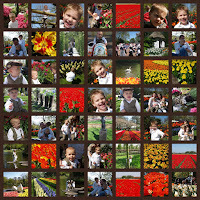 I absolutely love your picture collection of Keukenhof with all the flowers and your boys:) I loved it so much that I made a little printout and put it on my office wall---I hope you don’t mind! You don't know me, but a couple of months ago I happen to stumble upon your blog and have been visiting your blog once in a while:) I am originally from the Netherlands and love all your Dutch adventures. My name is Margaret Jacobs and have lived in the US for the last 30+ years. My whole family still live in the Netherlands and we have been very fortunate to visit them often! Anyway, thanks for all your fun stories and making me homesick:(. Thanks for your thoughtful comment. I'm so glad that you enjoy the blog, and that you're enjoying the photos (I'm flattered!). Are you on facebook? If so, maybe you can send me a "friend" request. Where in the U.S. are you living? And where in Holland are you originally from? Looking forward to hearing from you again sometime!